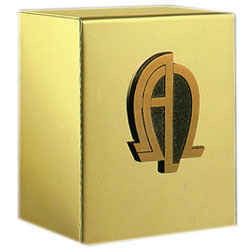 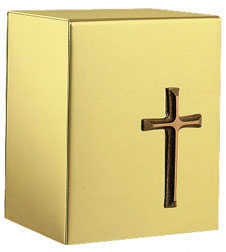 The richness and beauty of highly polished gold on the most durable metal in the world, stainless steel. 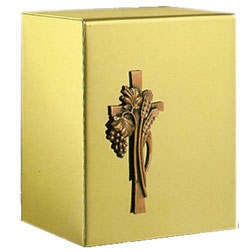 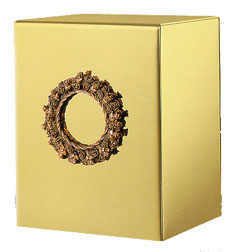 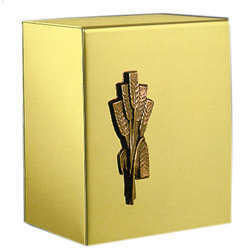 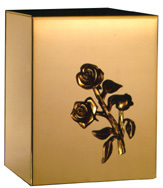 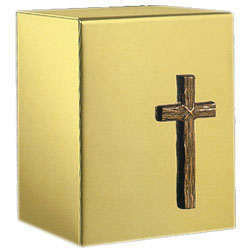 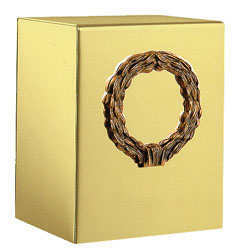 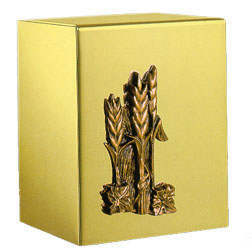 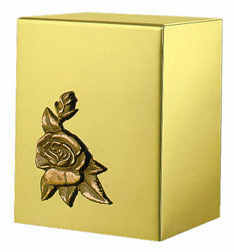 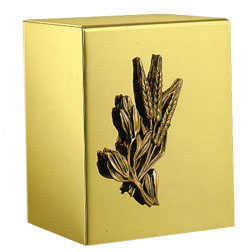 Each urn has a unique bronze applique for decoration and personalization. 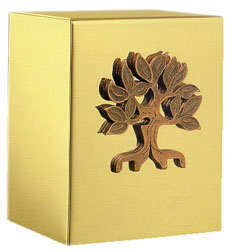 This combination of strength and beauty provides true value. 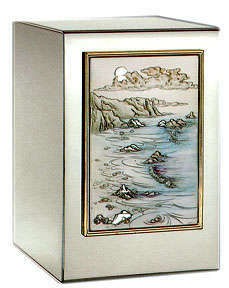 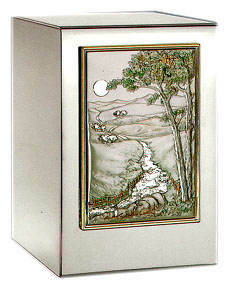 6-3/4" x 5-1/2" x 8-3/4"
Hand painted Sterling Silver scenes on stainless steel! 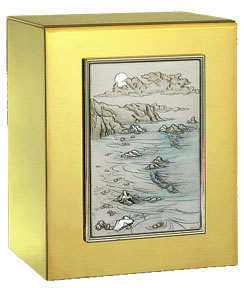 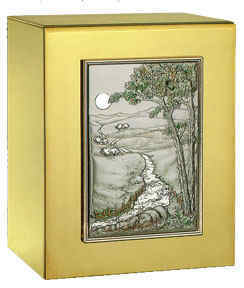 Hand painted Sterling Silver scenes on 24k gold plated stainless steel!